Haven’t we all seen those magical, heroic movies, where the dog is the star, and the little boy summons her with a whistle? Have you ever wondered if that whistle really worked, and if so, how? Have you ever considered the possiblity of a whistle purchase, and questioned what you need to know beforehand? Let’s shed some light on the silent training device, and hear for ourselves what a dog whistle does! What is a Dog Whistle? Why Would I Use a Dog Whistle? A dog whistle is defined as “a high-pitched whistle used to train dogs, typically having a sound inaudible to humans.” To human ears, the noise it makes is a hissing sound, while a dog will hear a high-pitched squeal. This is because a dog’s ears are more sensitive to sound, hearing frequencies up to 60 kilohertz, while humans hear frequencies up to 20 kilohertz. A dog whistle works similarly to other training methods, in that dogs are consistently trained to respond to his or her human’s method of training. Other methods of training that display the respond tactic would be clicker training and treat training. Bark Control – Dog whistles are an effective way to train your dog without using harmful shocks, etc. When your dog is trained, the whistle will help them stop barking on command with the whistle. 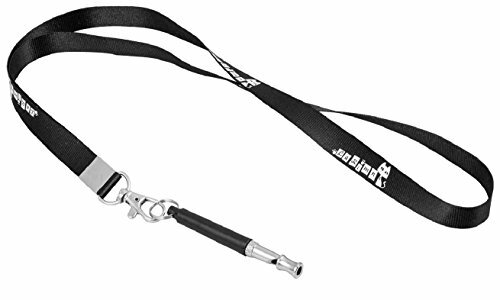 Lanyard Strap – This convenient lanyard strap will prevent you from losing your whistle and keep your hands free when not in use. Versatility – Teach your dog different commands and actions by teaching them to respond to the whistle. 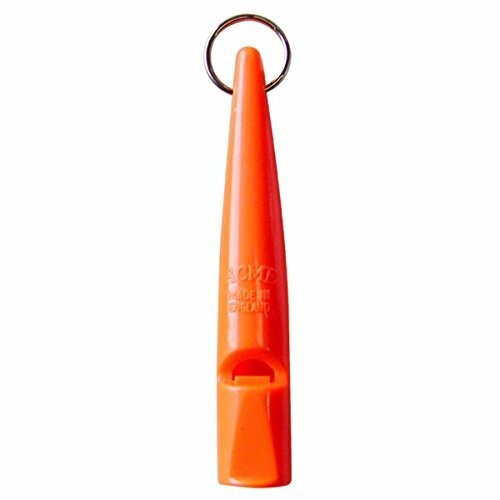 High Quality – This dog whistle is built well, with a nice polish and conveniently sized. loud enough for training and command. The volume depends entirely on how hard you blow, so you can adjust based on your surroundings. Unlike many dog whistles, humans can hear this one. Just remember, using a whistle still requires training so you will have to work with your pooch. 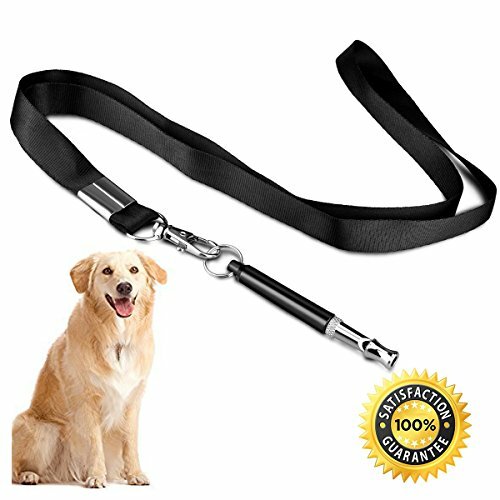 Easy Training – this whistle is an effective way to train your dog without using harmful shocks, etc. When your dog is trained, the whistle will help them stop barking on command with the whistle. Adjustable Pitch – You can adjust the pitch as needed, based on your surroundings and training protocol. Lanyard Strap – This convenient lanyard strap will prevent you from losing your whistle and keep your hands free when not in use. Issue commands as needed by keeping the whistle with you. 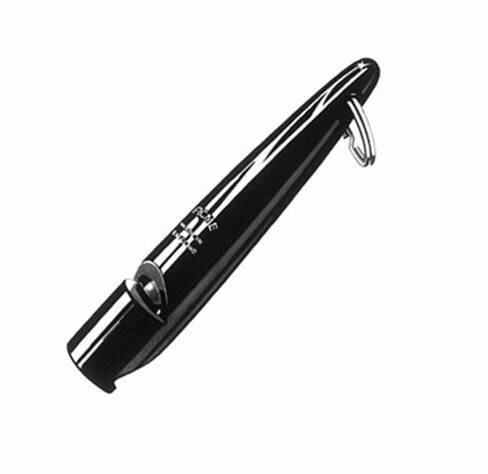 High Quality – This stainless steel dog whistle is built to last. This whistle comes with a storage container to keep it protected and dirt-free. Satisfaction Guaranteed- Convenient return policies if you don’t like the product. The reviews on this particular whistle read that this is not a silent whistle. 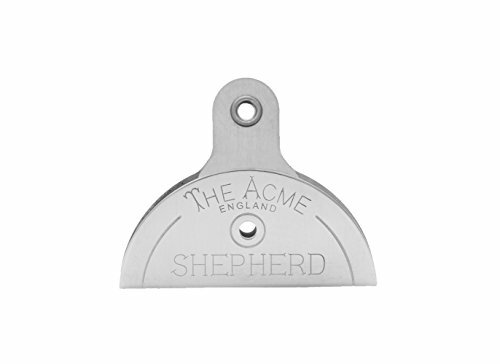 This whistle is audible to humans but is not as loud to your dog as other whistles that may be silent to us. This may be beneficial in areas without a lot of background noise. Avoid the beach! As with a lot of training devices, if used improperly, they can cause harm. Again, because dogs’ hearing is more sensitive than ours, we need to be particularly mindful of the distance of the whistle to our dog’s ears, and the force of the air through the whistle. We do not want to cause discomfort, let alone damange Rex’s hearing. Please don’t misuse your dog whistle. Before I use any training device, I want to ensure that it is humane. There is a good amount of discussion on dog whistles, ethics of, and their humanity. Dog whistles have been used for decades, beginning with herding and hunting. Used positively, they can get positive results. Used negatively, well, you guessed it, you may get negative results. You may want to experiment to see how your dog responds to a whistle, and decide accordingly, whether the whistle would be a useful training technique. 1. Get some of your favorite, high-quality dog treats. 2. Stand beside your dog. 3. Lightly blow the whistle and immediately reward your dog with a treat. 4. Repeat this intermittently each day. 5. In time, your dog will have positive associations with the whistle and come to you when they hear it. Be sure to build up distance slowly and set your dog up for success. Perhaps you’d like to train your dog to simple commands like sit, stay, or come. Maybe you’d like to use a dog whistle to teach herding or hunting techniques. Your desired result depends upon the method of training with the whistle, and your dog’s response. My dogs and I have yet to experience the benefits of a dog whistle. Having a challenging “child” like my Gus, however, encourages me to explore methods I might not have otherwise. After some research, I wonder if it might be time for us to experiment with a whistle. Maybe we might have our own magical, movie-like, dog whistle ending! Scout Knows is a complete guide for dog parents, providing expert advice and reviews to the many challenges and products dog parents face and consider. Scout Knows is a publication of Pet Parents Media. Read more about us. Join Over 10,000 Dog Parents Who Stay Informed on Living the Best Life With Their Dogs.